Over the past couple of years, I have met to have coffee with an older man named Horacio. He is a very religious person who has explored all sorts of different beliefs. He reads his Bible and prays every day, but in talking with him, I got the sense that he did not understand the gospel clearly. About a year ago, he came to me after church and asked to be baptized. At the time, I wasn’t even sure if he was saved, so we scheduled a time to go for coffee and talk about it. But, before we met he e-mailed me to say that he wasn’t ready to be baptized after all. He felt he could not break ties with the Catholic church. At least nine months went by, and I didn’t see Horacio again. Then, unexpectedly, he showed up for church two weeks ago. After the service, he came up to me again to ask if we could meet and talk about baptism. I agreed, and we scheduled another time to meet. Now, it is important to know that most of the conversations I have had with Horacio have been very eclectic, and I have been the one doing most of the listening. He would talk about everything from monastic orders to Tai Chi to the history of our town. They were always interesting conversations, but I never felt like I got far with him spiritually. Today would be different, however. He wanted to get baptized, and I reasoned that if he wanted to get baptized, he would have to get saved first. Today I would be the one doing the talking. After catching up on some small talk, I began to explain the Biblical reasons for baptism and how it was an act of obedience that followed salvation. Despite my efforts, I felt like it just wasn’t clicking in his mind. At one point, when I was talking about the symbolism of baptism, Horacio began describing the similarities of baptism to the initiation rituals of the Templar Knights. This was not the direction I was hoping the conversation would go. After an hour and a half, I gave Horacio a book that explained the gospel and told him that I looked forward to seeing him at church on Sunday. From there, I went home for lunch. When Sarah asked how my time went, I exclaimed with some frustration and resignation that I felt like I couldn’t get him to understand what Biblical salvation really was. This is thrilling news, but there is one other important note to make. 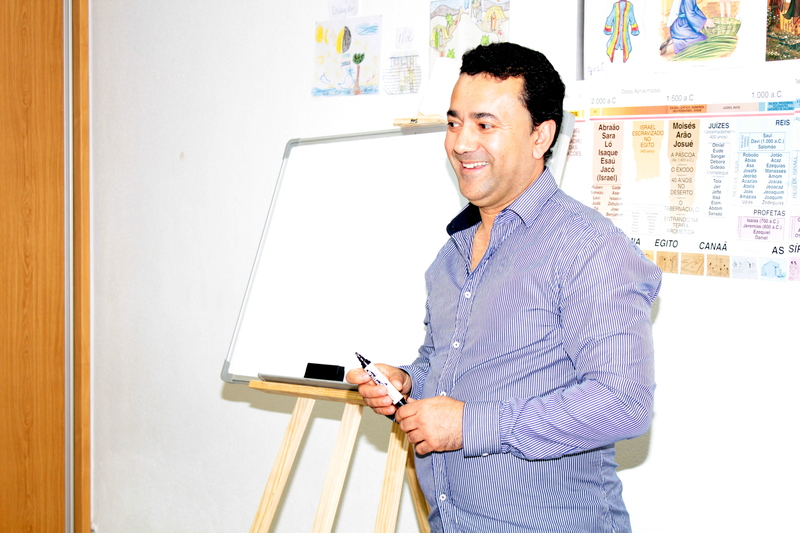 God used many different people to bring Horacio to himself. About five years ago, Horacio walked into the office of a Christian doctor who worked at the community health center. Beside giving Horacio his medical exam, she also shared the gospel with him and invited him to a Bible study. To this day, Horacio talks about Dr. Quica who drew out the plan of salvation for him on a pad of paper in her office. He heard the gospel, but wasn’t saved then. 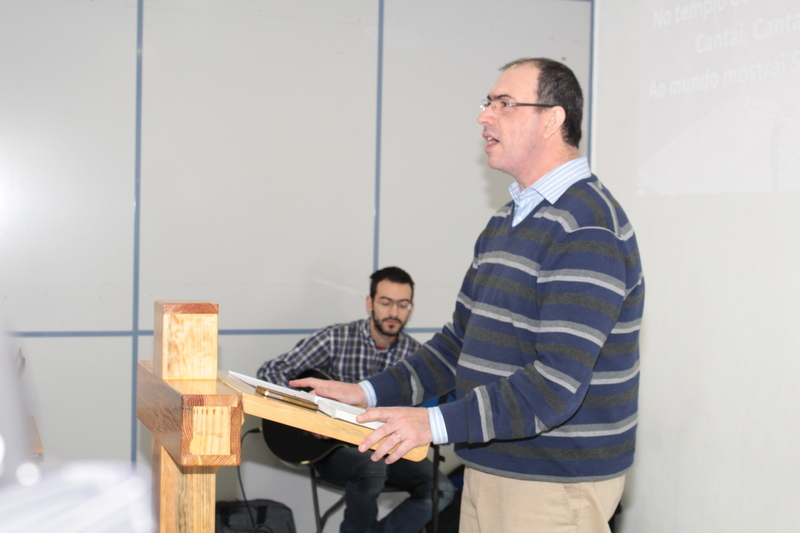 For two years, Horacio attended that Bible study that was led by a Portuguese pastor. This pastor drove an hour each way every week to meet with five or six people and study the Bible with them. Horacio heard the gospel again, and wasn’t saved then. About two years ago, I entered Horacio’s life and also shared the gospel with him both personally and through preaching at church. He heard the gospel again, and wasn’t saved then. In all, Horacio had probably heard the gospel dozens of times. Finally, one night last week when he was reading that book I gave him, he was saved. This was a book written by a well-known pastor in America whom he has never met. This time, Horacio understood, and was saved. Who led Horacio to the Lord? God used many different people. He used a doctor who cared about her patients’ spiritual conditions. He used a faithful pastor who gave of his time each week to do a Bible study with a few interested people. He used me, a missionary who was willing to sit and have coffee with this man and listen to him. He used the author of the book I gave Horacio to make clear the truth of the gospel. You never know how God may use your life to bring somebody to Him. Keep praying, loving, caring, sharing, and trusting that God can save. While it is hard to suffer ridicule from others, Diogo’s comment encouraged me greatly. Who else besides Jesus could make such a change in a person’s life? Just four months ago, Diogo didn’t want anything to do with Jesus, and now he is willing to suffer ridicule for the sake of his Lord and Savior. Since November when we started having Deaf church, we have been teaching everything from how to look up Bible verses to what it means to pray. In our most recent service, I explained that when we pray to God we can ask Him for things. After this explanation, I asked the Deaf if they had any prayer requests. This was the first time I had ever done this, and the very first prayer request was from Carlos who said, “We need to pray that more Deaf will come to church to learn about God.” Keep in mind, Carlos himself is still not saved. Yet, he sees the need for more Deaf to learn what he is learning. Would you pray for this to happen as well? The service itself went well. 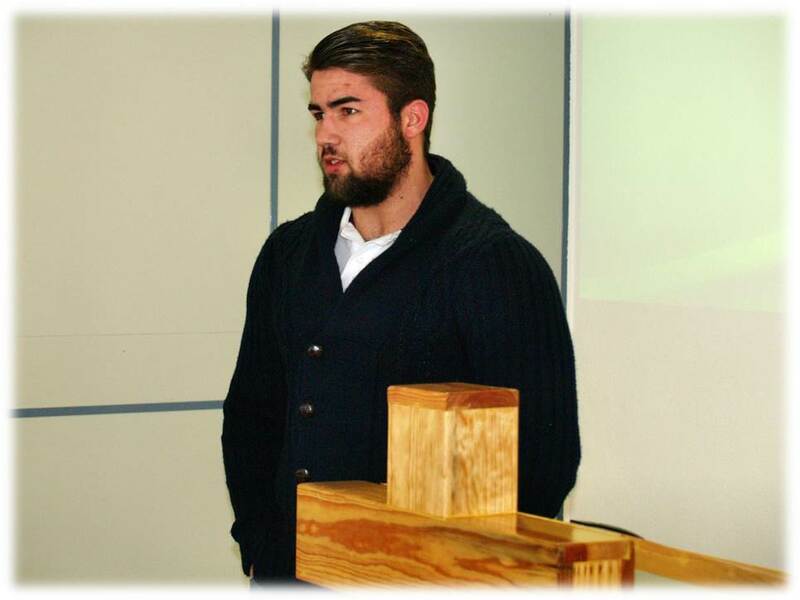 I have been teaching about the life of Christ. Slowly but surely, the gospel is beginning to make sense in the hearts and minds of the deaf. Many weeks, we see the spiritual struggle in their eyes, and we think, “Today, he/she is about to get saved!” This Sunday, I spoke of Jesus’ crucifixion and resurrection. After the message, Sarah did a song in sign language about Jesus being the Lamb of God. When she finished, everybody was crying over the significance of Christ’s death. Again, we were hopeful that some of the deaf would make a profession of faith. Sarah was crying too as she told them, “What Jesus did on that cross was for YOU.” No one accepted Christ that day, but Carlos was under conviction. He texted us the next day to say that he couldn’t stop thinking about that Sunday. Please pray that he won’t stop thinking about it until he accepts Jesus as his Savior. This past Sunday, we celebrated our first anniversary of the church plant. Would you take two minutes to watch this video of the special service? Click here to see it. 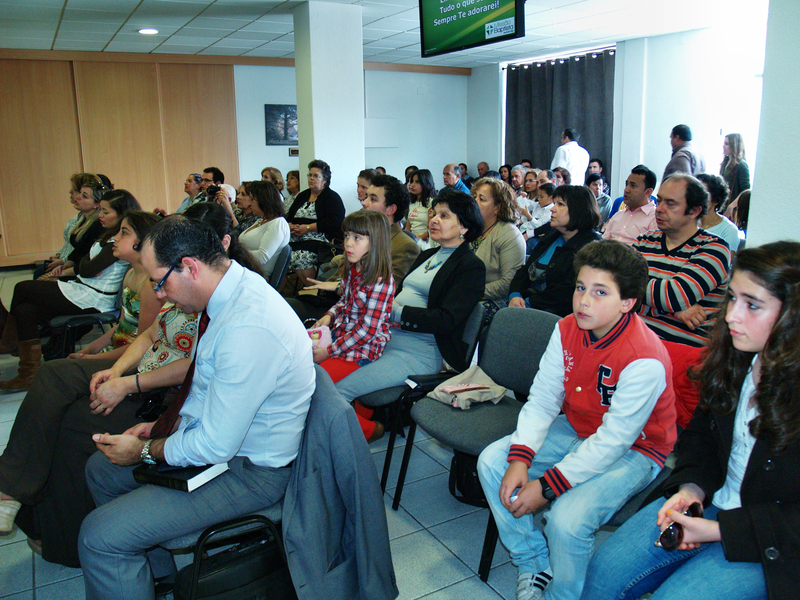 Besides people who came from over churches, there were over 50 people from Montijo that came to the service. To God be the glory. A year ago when we had our first service, our daughter Laura was the only kid in the church. This past Sunday, however, we had almost 20 kids and teenagers at church. 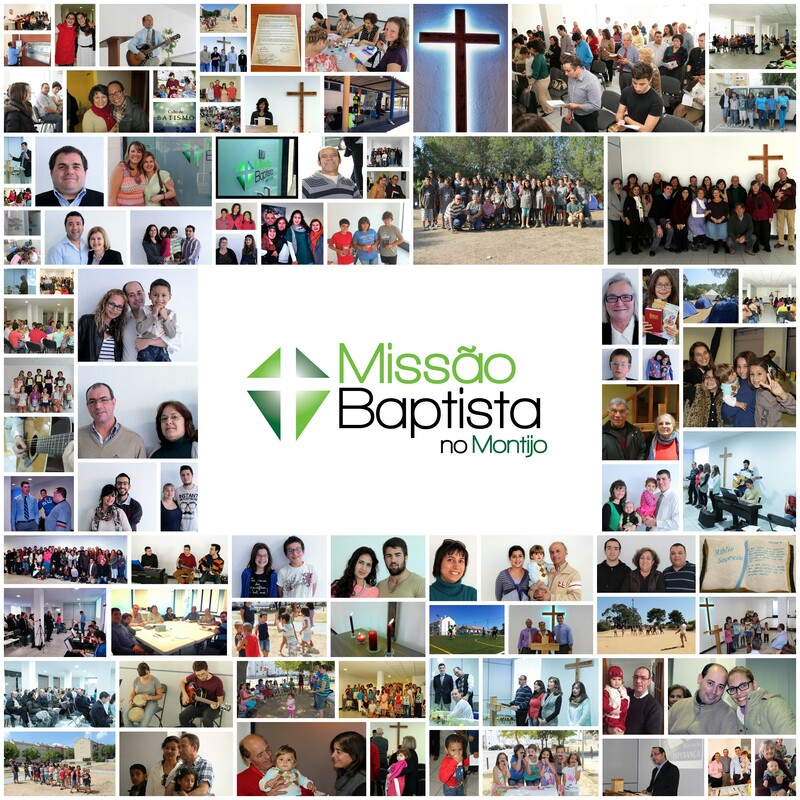 A photo collage we made for the church anniversary. Each picture represents a big investment on the part of many people. At the end of the service, we all held hands and thanked God for His goodness. As I looked around at all the people, my heart was overwhelmed with gratitude. While there are many challenges ahead, there is nothing else we would rather do than serve God right here. Thank you for your part in making that possible! May God encourage and strengthen you as you bring Him glory where He has placed you. It is hard to believe, but this time last year we were busy preparing our church building for “Opening Day.” Take a moment to watch the video below to see what our building was like when we first got the keys and compare it to what it looks like today. It is amazing. A year ago, it was a moldy, dirty, ugly building. Today, it is clean, painted, well-organized, and comfortable. 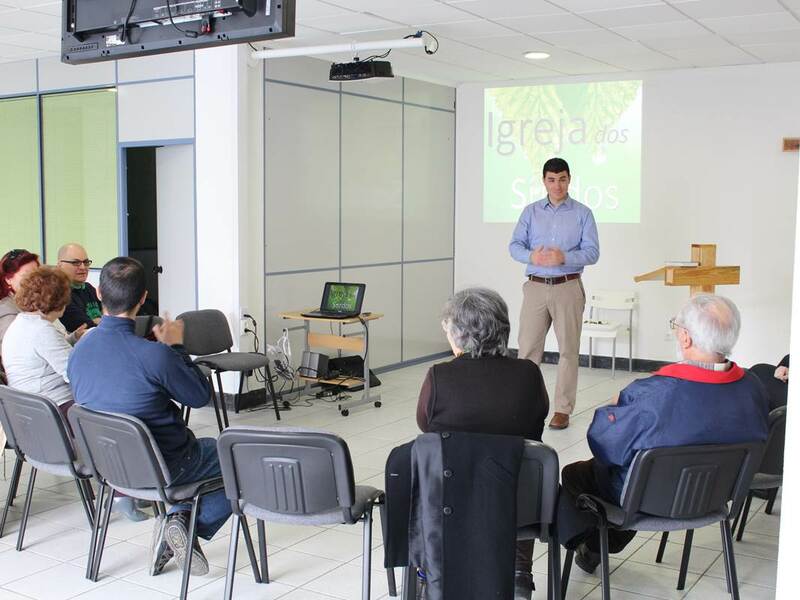 It is hard to find a good building for churches in Portugal. The longer we are here, the more convinced I am that we are in the very best building possible in our whole town. Our rent is affordable. We are close to the center. Parking is relatively easy. And for Portugal, our church building is very large. Over the past year, we have have worked hard to make it an inviting place. All of this required a lot of money. 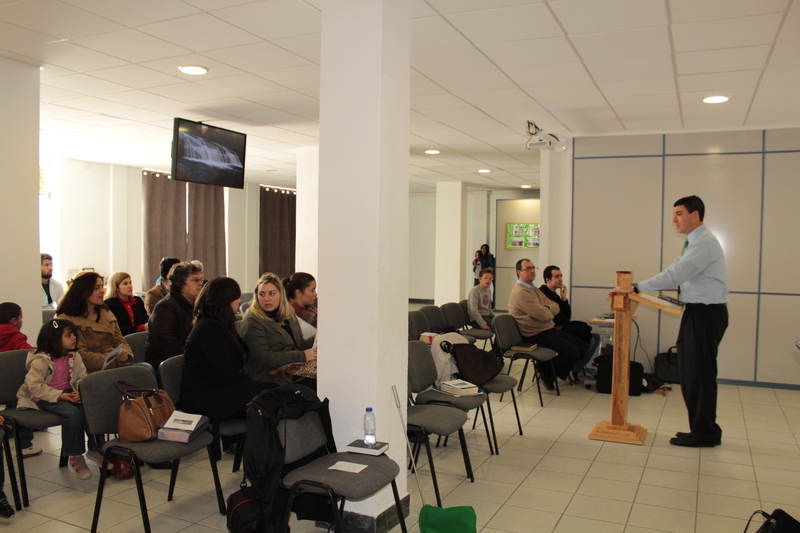 While the people in our church here have given generously, and other churches in Portugal have helped, the bulk of the funds needed to rent and renovate this building come from people like you and churches like yours. To be precise, we have spent over $12,000 from our supporting churches in America to make this building what it is today. Buildings aren’t everything, but they are important. I believe we are reaching many people in this town because we now have our own building and are able to have Sunday services. This past Sunday, 40 people sat on chairs bought by a supporting church in Chicago. 13 kids sat in a Sunday school room with tables bought by a church in Michigan. The curtains were bought by a couple of deaf churches in Iowa and Texas. The list goes on, and we want to thank you for helping make it possible. Little by little, this church plant is growing with your help. To God be the glory!